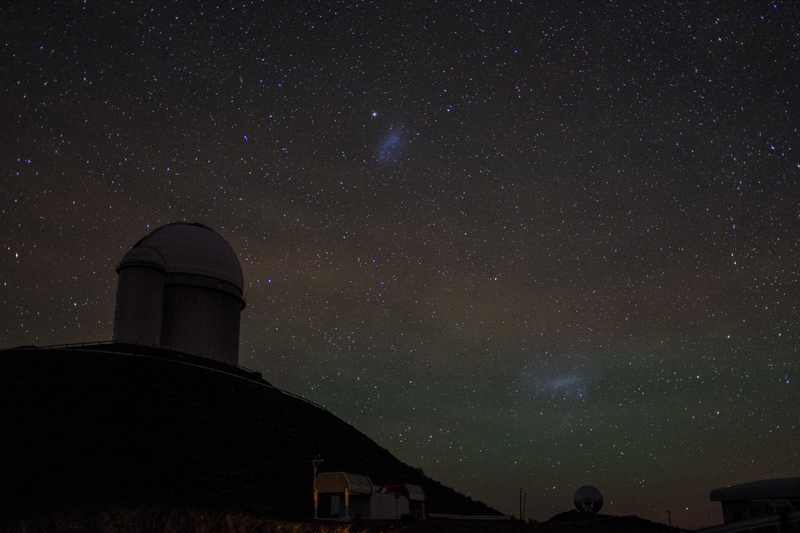 The Milky Way, our home galaxy is not alone in the Local Group of galaxies in the Universe, there are several smaller or larger satellite galaxies orbiting around it. 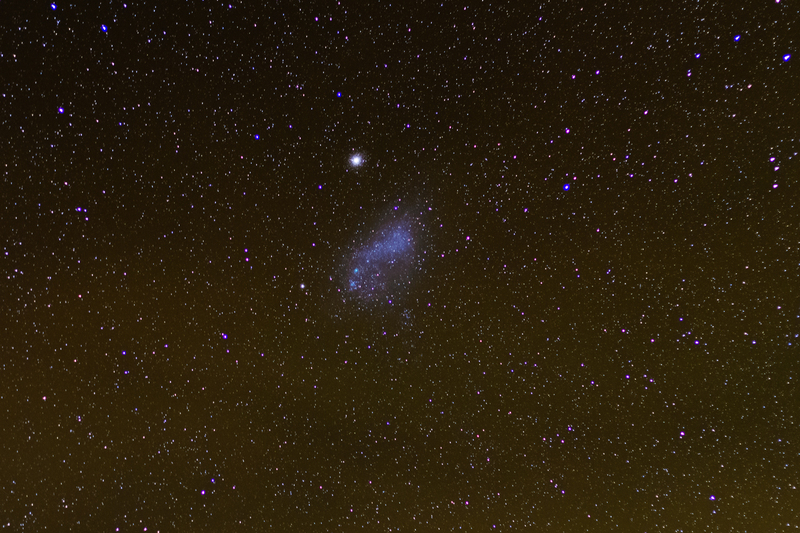 Two of these are visible to the unaided eye, the Large and Small Magellanic Clouds (the LMC and the SMC). 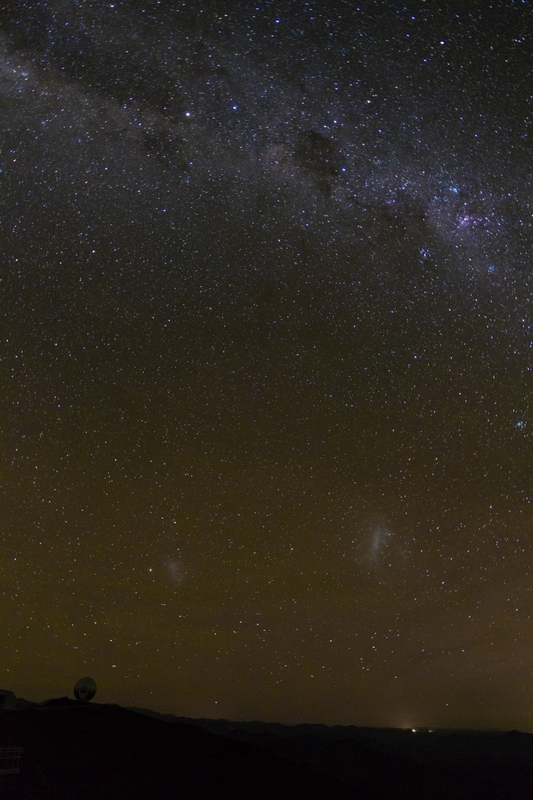 These are both irregular galaxies, both only visible from the Southern hemisphere. The following two shots are both made from 10 individual images by calculating their average to achieve a better signal-to-noise ratio (a.k.a. to have nicer images with low noise). Each individual frame was taken with a Canon EOS 7D + Canon EF 50mm f/1.4 USM lens, f/2, ISO1600, 20s. 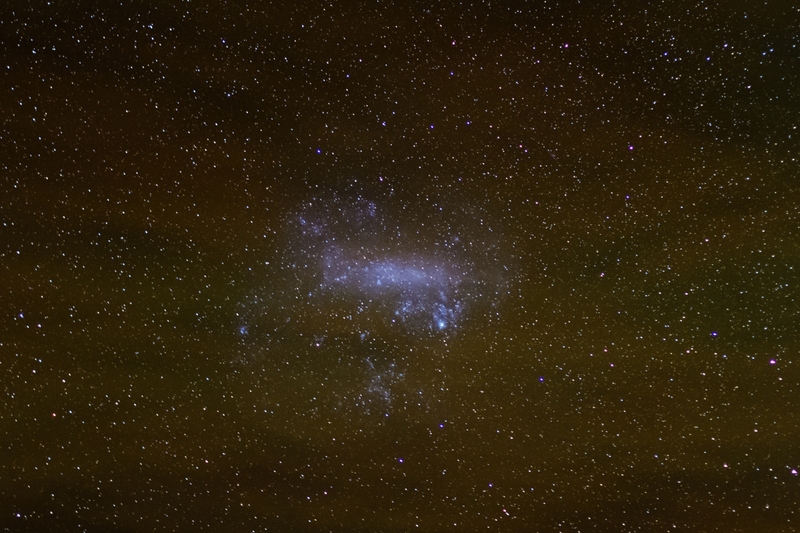 This entry was posted in Uncategorized and tagged english, la silla, lmc, magellanic clouds, observing, photo, smc on May 6, 2014 by Péter I. Pápics.